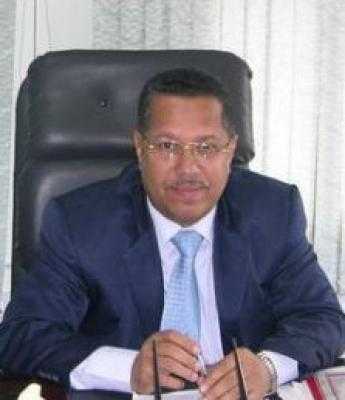 Almotamar.net - Assistant secretary General of the ruling General People’s Congress party GPC in Yemen Dr Ahmed Ubeid Bin Daghr says recognition of the so-called the southern issue and identity is considered a complete coup against the unity, people and history. He has warned the southern and eastern governorates of Yemen against falling the trap of the gray vocabularies which is the same trap that leads to the trap of supporting sabotage acts and insurgency in northern governorates, calling in this regard the politicians and national forces to the necessity of putting dividing lines between demanding for what is right and the call for secession. In an analytical article published by Al-Mithaq newspaper in its latest issue the Assistant Secretary General of the GPC Bin Daghr interpreted contradictory stands of Ali Salem al-Biedh since his signing of the agreement of 30 November of 1989 and his escape to the unity on 22 May 1990 then his creation of the crisis of secession in 1994 and lately the return to the intelligence term of disengagement and how he deluded his socialist comrades as being fully socialist then he turned against them one after the other, describing him as a man without principle , without ethics and without aim. Bin Daghr added in his article that the motives of al-Biedh towards the unity were not patriotic or unionist but rather outside any national affiliation. On the virtues of the unity Dr Bin Daghr mentioned that of the virtues of the unity is that it has rebuilt Yemen on new foundations for the distribution of the wealth, indicating that the southern and eastern governorates gained a big share of the process of development at various levels. He also pointed out the laying of the foundations of the democratic system, the matter that allowed for all the opportunity of attaining power via polling boxes and distribution of power and wealth shares divided on 20 million people. Bin Daghr also reviewed in his article aspects of the tolerant visions of president Al Abdullah Saleh, pointing in this regard that the celebration of July 7 had become part of the past as a forgiving vision made the unionist stop celebrating it as a day of victory but the callers for separation have insisted to celebrate the occasion in their own way. And he said because protecting the unity and defending it is a defence of the homeland, those should expect millions of people in the southern and eastern governorates to take to the streets to remind them on the value of the unity and the importance of defending it and considering it a red line no one is allowed to step over.